There is no better time than now to expose engineering students to the Internet of Things (IoT). The IoT industry is booming as more and more businesses seek to deploy comprehensive IoT solutions that will streamline operations for their customers. However, when it comes to hiring engineers to develop these solutions, employers aren’t just recruiting candidates who have knowledge about the IoT market. They are recruiting candidates who have practical experience ― something many engineering students aren’t equipped with in school. This is where LoRaWAN Academy steps in. LoRaWAN Academy offers the best in both knowledge and experience through a comprehensive two-part applied learning and innovation curriculum that immerses beginners to intermediate-level engineering students in the LoRaWAN™ protocol. The curriculum consists of a robust 10-week online course that introduces concepts and builds foundational understanding. Students can work at their own pace to complete the online course library of video lectures, supplemental readings and materials, problem sets, assignments, and quizzes. Students then apply learned concepts to LoRaWAN development kits and IoT infrastructure to develop highly desirable protocol-based technical skills. By the end of the program, students are fully prepared to design, prototype and build a myriad of complete LoRaⓇ-based, end-to-end IoT solutions that solve real-world problems. Why should students learn about LoRaWAN? The answer is easy. Semtech’s LoRa® devices and wireless radio frequency technology (LoRa Technology) is the preferred choice of businesses worldwide, including Cayenne and IoT in a Box™ by myDevices, a leader in accelerated IoT builders and solutions. Cayenne, the world’s first drag-and-drop IoT project builder, relies on LoRa Technology to simplify the creation, development and deployment of complete end-to-end IoT solutions. Cayenne’s hardware catalog includes hundreds of LoRa-based devices, and users can add additional devices easily using MQTT API. IoT in a Box combines LoRa-enabled gateways and sensors with the LoRaWAN network to create pre-packaged, ready-to-sell remote commercial refrigeration and facility management monitoring solutions. myDevices prefers LoRa Technology because it offers greater interoperability and long-range connectivity over cellular networks. In fact, many mobile network operators have supplemented existing cellular/wireless networks with a LoRaWAN network for these same reasons. A single gateway can provide up to 30 miles of coverage in rural areas, and LoRa-enabled devices have an extended battery life up to 10 years. Devices which feature plug-and-play integration capabilities and embedded end-to-end AES128 encryption for security can be mixed and matched to meet unique and specific needs. As a result, IoT applications and solutions deploy more quickly, leading to significant cost savings in infrastructure investment, operating expenses and end-to-end node sensors. LoRa Technology is also utilized by the more than 500 members that comprise the LoRa Alliance™. The LoRa Alliance is the fastest growing not-for-profit technology association dedicated to innovating and scaling the IoT, M2M, smart city, and industrial applications by standardizing and accrediting the LoRaWAN protocol. Universities that participate in the LoRaWAN Academy program can join the LoRa Alliance for free to take advantage of its many benefits, including exclusive access to networking events with leading IoT companies, collaborative research for solving complex problems, and important specification updates. Engineering students want and deserve training programs that will enable them to find competitive employment and enhance the IoT landscape. The LoRaWAN Academy offers the only IoT curriculum that combines educational training with practical hardware application. The curriculum is supported by a global network of organizations who deploy LoRa-based solutions and contribute cutting-edge resources. Students learn about the IoT market while building real-world solutions and networking with industry experts, gaining the competitive advantage they need and the experience employers want. Click here to watch informative IoT in a Box use case videos. myDevices is a corporate sponsor of the LoRaWAN Academy. Visit www.mydevices.com to learn more about the Cayenne builder platform and IoT in a Box turnkey solutions. LoRa is a registered trademark or service mark, and LoRaWAN is a trademark or service mark, of Semtech Corporation or its affiliates. 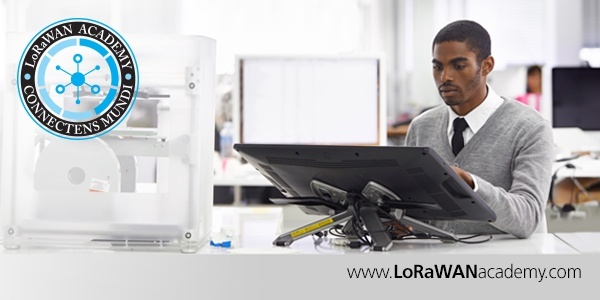 LoRaWAN Academy is a comprehensive, global university program connecting next-generation engineers with LoRa-based LPWAN technology for applied learning and advanced research. Learn more: www.lorawanacademy.com.